My meditation song compilation is my most popular track on Insight Timer. Those songs were created by my former arranger and are definitely best for meditation. Recently, I released a new instrumental medley on Insight Timer. I used the same illustration for the cover but changed the color theme. My medley of “Healing Instrumental Songs” contained the same six songs except they were based upon my guitar arrangements. I worked very hard mixing and finalizing those songs. It’s one of the many reasons why I haven’t written on my blog for four months. I have another new medley, which will be released soon. It is the first one that incorporates my voice and I’m very excited to share my lyrics with the wonderful Insight Timer community. I wrote the lyrics to “Set You Free” while facing the loss of my father. He was declining steadily from repeated infections. But my lyrics had another meaning for me. They were about anticipating the time when I would set one of my children free. Yesterday, my 27-year-old son moved out to start a new phase in his life. In the hours before he left, I could hear my father’s voice and we had entire conversations in my head. My father was extraordinarily close to my oldest son. Perhaps it was the loss of my first-born son, Jason that brought them closer. As a baby, toddler and young child – my oldest son was very challenging. I wrote a lot about my unrelenting advocacy (for all of my children) on my blog years ago. Even though it was therapeutic for me to share those stories, I decided to delete them later on out of respect for my childrens’ privacy. This picture from my son’s high school graduation was taken the year before my father passed away. But with my oldest son, it was different. Even though he occasionally complained, he was very connected to his grandfather. The love between them was touching and sweet. My father’s devotion to him helped me greatly. At that time, I was overwhelmed with my mother’s care and my other childrens’ issues. My father died before he could see his beloved grandson graduate from college. I was extremely emotional at the graduation ceremony. I could hear my father weeping with joy and nodded silently as I held back my falling tears. That was six years ago. Since then, my son had difficulty finding a steady job. He became a tax preparer, which was seasonal work. During the off-season he had another job, but there were no benefits and the pay was low. He was well liked by his co-workers, yet it became apparent that this wasn’t the best career for him. One day, he told me he had an idea. He had heard from one of his co-workers that there were programs in other states where he could easily become a teacher. The pay was excellent and the cost of living there much cheaper than in Los Angeles, where we lived. This opportunity could actually allow him to live independently. He decided to apply to a program closest to where we lived, in the state of Nevada. I knew he was anxious about this change, but I loved the fact that it was something he came up with on his own. My son quit his job doing tax work because he just couldn’t stand it anymore. For many months, he was always home. He didn’t handle noise well. He complained about the traffic noise and I complained to him that it was noisy when he and his friend were playing video games late at night. Whenever I played guitar and sang he would tell me it distracted him; our bedrooms were very close together. So I seldom sang when he was home. I wore headphones most of the time and if I played music aloud, I would be sure to close my closet and place a towel under my door to muffle sound. Occasionally, my son would go to his car for an hour to give me some time alone. He knew I missed singing freely and he was right. I would sing my heart out and text him to come back when I was done. We were both anxiously waiting to see if his application would be accepted. I assured him he would get in. When he received his acceptance letter, he couldn’t believe it; his new future could truly become a reality. Two weeks ago, we took a road trip to find a place for him to live. The program was in Las Vegas, Nevada, a five-hour drive away. I was sick with a bad cold the whole time, but we accomplished what we set out to do. We scouted the apartments there and on our last evening a wonderful opportunity became available to him. A good friend called me to tell me she knew of a family that could rent him a room. We went to check it out first thing in the morning and it was perfect. My son loved dogs and a large dog jumped all over him when we came to look at the house. On the day he planned to leave, I wondered when he would start packing. Around lunchtime, he knocked on my door and asked me if I could keep him company while he gathered his belongings. It seemed unreal as I sat on his bed and watched him. He asked me to look through mismatched socks and make pairs for him. I silently kicked myself for not buying some new socks the week before. My son had a passion for magic tricks and I smiled seeing him put a few trinkets into a small case. I imagined him dazzling his young students, he would be surrounded by excited children begging him to show them more. “Hey mom, have I ever shown you this?” he asked. He pulled out his grandfather’s driver’s license from his wallet. That license was so important to my father at the end of his life and I could see my son treasured it. Slowly we both filled up duffel bags and a few suitcases. I would clean his room later on and reminded myself that he would surely be back for visits. But there was such poignancy about this moment. His life journey was diverging from mine as he moved down his own path. I smiled as I pictured a bird flying out of a nest. The momma bird was really happy because suddenly she had a lot more room to move – she had done her job well because her baby bird was flying off to a new life with wonderful possibilities. I wondered what my father would have thought about his grandson becoming an elementary school teacher. My father, the consummate teacher, pounded so many lessons into my son. Maybe he was right. I glanced at the frying pans, razor blades, pain relievers and cans of food. I kept thinking of the socks I wished I’d bought, too. I ran into the house to warm up his last frozen vegetarian entrée. I brought it out to his car with a plastic fork and a banana. The lyric line of “We both know, it’s hard to let go,” began echoing in my head. I hugged him through his car window and wished him luck. As his car drove out of the carport, I could hear my father weeping with joy. I blinked back the tears. A few months ago, it was very therapeutic for me to create a new arrangement for my song “Angel in the Sky.” I created the instrumental video below using pictures and other images I’ve illustrated. Today it is 25 years since the horrible day when I saw my child dead on October 6, 1992. I will never forget that image or the trauma. But all these years later, I am peaceful. Last night, I went out with some girlfriends to celebrate my birthday (it’s next week). We had a Thai massage and as I enjoyed it I felt overcome with emotion. I softly began to cry, my cheeks were wet with tears and I wondered if the masseuse knew. I kept thinking about how much I love my three living children and how lucky I am that they are all doing well. So much has happened since his death. I will always wonder what he could have been – that hasn’t changed. But my acceptance fills me with amazement. I am in awe of my healing. The first four links below are versions of my new arrangement (with and without vocals and/or instrumentation). Under those are my older instrumental arrangements. When I first began grieving the death of my son, Jason, I did not look up and feel that he was my angel in sky. I survived the worst pain and carried my sadness silently for many years. Rediscovering music seven years ago changed everything. I found a way to express my feelings, which led to healing and joy. Angel in the Sky” reminds me of my love and pain. I do still cry and my voice reflects that when I sing my song. Feeling him close to me, inspired by music and finding joy again in life represents my healing. But his death changed me and I still see my grief as a lifelong journey. The picture on the right is a piece of artwork Jason made while in preschool. It looks like an angel to me. For another bereaved mother that I correspond with, her vision of grief is one of a stalker. I have shared many of my touching exchanges with Sammi on this blog. It has been five years since Sammi’s son AJ died. She writes about her grief with heartbreaking honesty and I often feel compelled to write back hopeful replies. Below is a recent exchange between us. They always think I’m gone . . . always,” the voice said while laughing. The pain hit me then, right in the center of my chest, knocking the breath right out of me, spiking my heart rate to a pounding fury. I wondered right then how I physically made it through the beginning of this horrible journey. I think people fail to realize that we are not only dealing with emotional problems but also physical problems as well and how I handled the two eludes me at times like this. My eyes started to burn and the lump grew in my throat. “Please,” I whispered, “Go away . . . please!” The ominous cloud that I had succeeded in outrunning started to descend on me. My soul screamed: “I’ve had enough – No more!” It was suddenly silent and I couldn’t hear a thing, not even the TV. “NO!” screamed the nightmare voice. “I decide when it is over . . . I always decide when it’s over!” The words echoed in my head. I let the tears fall. I let the pain take over. I gave up the struggle and sank into the abyss. We learn to live with the agony that has been dumped into our lives. We learn to live with the knowledge that a part of us will always be missing. We learn to live with half of our heart and half of our soul. We develop a persona that we show to the world that they will accept. We appear normal and we fit in. We have no choice because if we show our true faces, the world cannot handle that. I don’t really blame them. I was there once too. AJ, you had so much to give. You weren’t done. You should be here. I can say how much I miss you, ache for you, until I am blue in the face. Nothing changes. Nothing ever will. I will always, no, matter how much time has passed, wake to that stalker whispering in my ear. Time will never change that; it will only lengthen in between visits. AJ, how I yearn for you. I can’t even type these words without the tears starting. Living without you has not become easier. Missing you has not lessened. I wish daily that it had been me. That is how it is supposed to be, parent before child. Sammi, your writing is so gut wrenching as you describe your grief. But one day, perhaps your story will ease into a different direction. Your story begins the same way. Except that when you hear AJ’s voice – instead of being stabbed by the stalker of grief, you will hear AJ speaking to you. You will be enveloped by his love and feel certain he is surrounding you always. Some of the aching and longing might eventually diminish over time – but love never changes. I understand how it can feel hopeless. I remember that so well. But you have acknowledged that the stalker of grief is definitely visiting you less and less. You are wise to know it might come again. I look forward to when you have more and more moments of feeling AJ with you. I say my son returned to me. That was the beginning of my healing. One day he came back and that realization has helped me every day. Thinking of you with so much love and care. The thought that someday my grief would ease didn’t seem possible 25 years ago. When grief is raw and torturous, someday feels like never, the loss is too huge and the hole is gaping. Coping with that anguish leaves no possibility or hope for feeling better, let alone peaceful or joyous about life. I do believe there is a chain of support that develops with grief. Holding on and later on helping others was very key to my survival of grief. The exchange below represents three bereaved mothers. The first mother has just begun her journey. The second mother, Sammi, is five years along on her journey. I am the third bereaved mother. Today was hard. I hope I have the strength to do it all again tomorrow. Today you got out of bed. Today you took care of your family. Today you lived through the pain. Today you shared with those who understand. Today you will cry again. Tomorrow you will do it all again. Someday, you will wonder how you survived this horrific grief journey. Someday, there will be moments when you’ll still cry. But then you’ll wipe away the tears. Someday, you will look back and smile when beautiful memories return. Someday, you will hold someone else’s hand that is in total despair to help give them the strength to keep going. It was so different for me to be traveling on my own. I opened the window of my quaint motel room and the smell of pine was glorious. After showering, I threw my suitcases into my Honda Civic. I turned on my meditation music to inspire me for my 5-hour drive through Northern California. I was leaving Paradise (what a beautiful name for a mountain town!) and driving to Santa Rosa. Dappled shadows sprinkled over my car as I navigated the mountain road. Once I hit the bottom, I sailed past rolling hills and vineyards. A sign caught my eye and I turned off the highway. My car shook as I went down a long dirt road into an orchard. After a restroom stop, I carried a large box of fresh peaches and put them on the seat next to me. The peaches would be a lovely gift to share with Cindy when I arrived. Soon I found myself eating a juicy peach as I drove – I was truly in heaven. Cindy and I knew each other in high school and had been very close while in college. We lost touch shortly before I was married. At our 30th high school reunion, we reconnected. And only a few months ago at our 40th reunion, she mentioned to me that I could visit her anytime I wanted to. I decided to take her up on her offer. When my 27-year-old son told me he wanted to visit his uncle in Northern California for five days, I knew it was a terrific opportunity for him and I to spend one-on-one time together on the long drive there. I could visit Cindy after dropping him off and this would definitely add adventure to my life. It was a long time ago when Cindy and I used to go horseback riding, hiking and folk dancing. Losing touch with her felt sad; I had even written a song about it. But my mind was still foggy about why it had happened. After our 30th high school reunion, Cindy came to visit me. Our children were of similar ages and at that time I was living in a huge home. I showed her my artwork and we talked about our lives since college. We took some really nice family pictures on that day. Years later when I told Cindy that I was getting divorced, she said, “Judy, I noticed that something was really off when I visited you ten years ago. I even told my husband Barry that something was wrong.” I asked her to explain – what was off? She told me she sensed my unhappy marriage. Her clue was that my husband and I had barely spoken to or about each other. And what had really surprised her was when she asked me if I ever sang and played my guitar anymore. I gave her my standard answer. The music that had given me joy and intimacy with my friends was gone. I stopped playing after I was married because I was too busy focusing on my career. Cindy was very surprised by my answer because music was my identity all the time she knew me. When my music ended, I lost the connection and expression of my heart. My detachment from music and joy was clear to her. I just didn’t know. This post is named for my song “Peaceful and Inspired,” which I composed in 2014 while on a trip in Oregon. Driving with my son turned out to be very special and his company was precious. Even though he lived with me, he was making plans to move away – possibly early next year. I was fine doing most of the driving through boring stretches of farmland. We stopped for lunch at a famous Pea Soup restaurant and took pictures of each other. I was curious how it would be seeing my son’s uncle, my former brother-in-law. It was probably about ten years since we had seen each other. I knew my divorce probably came as a shock to him; I remembered how I felt after both my brothers’ divorces. In the early evening we arrived at the forest town of Paradise, which was our destination. I enjoyed seeing my former brother-in-law and his lovely wife. They were warm and excited to see my son. There was nothing awkward about our time together and I felt comfortable. We went out for dinner and afterwards we all took a walk at a nearby park. I especially appreciated the cooler air since the hot weather had been stifling when we left earlier that morning. The park was connected to a pine forest and deer walked within view. I said good night to everyone and checked into a motel nearby. The feeling of freedom was indescribable. I was alone in this beautiful setting and filled with gratitude. When I started to play my guitar again, I found inspiration but I was still fairly stressed out. I had to manage with both my parents’ declining health. I was an advocate for all of my children. Separating after a long marriage and suffering with dry eyes took a huge toll upon my psyche. Yet during that time, I experienced an amazing renaissance of writing and composing. I am truly in awe about how I did those things while struggling, but consider it a spiritual gift that saved me. Now that I am in a place of peacefulness, I haven’t felt the need to write like I used to. My time and energy is spent creating new recordings and arrangements of my songs. When I reflect upon my life and my amazing journey, I seldom imagine what is ahead for me. I feel like where I am it is an absolutely perfect and beautiful place to be. I am able to devote myself to my passion of creating music. I am close to all three of my children. What more could I want? I arrived at Cindy and Barry’s home in the late afternoon. I was tired and I felt relieved to have made it safely there. Cindy warmly welcomed me in and Barry helped carry my suitcase and guitar into their daughter’s bedroom. It worked out well that their daughter was going away that very day to see a solar eclipse that was a few hundred miles away. I would sleep in her room. Over the next few days, I felt very relaxed with Cindy and Barry. I enjoyed making scrambled eggs for everyone and we went out for wonderful meals in great restaurants. In her daughter’s bedroom was a tank with a large snake inside. Cindy encouraged me to hold it. I owned reptiles when I was a young girl and that was such a long time ago. It was crazy when she took some pictures for me – the snake began wrapping around my neck! Several times, I pulled out my guitar and shared my songs with her. She sat nearby in an old rocking chair to listen. At one point, we both sang songs together and the memories from the past were so touching. During one of our long talks, I felt sad that I couldn’t remember why we had lost touch. Cindy opened up to share many of her feelings with me. I became emotional hearing about the awful things she had endured. I wasn’t truly a good friend back then because I had chosen to withdraw from her. When Cindy summed it up by saying, “Judy, you just wanted to stay in a happy place,” my heart ached. I felt teary and told her I was sorry. I was sincere. I felt badly to have hurt her and for distancing myself from such a dear friend. My time with Cindy and Barry was special beyond words. Cindy often gave me credit for meeting her husband. I kept pushing her to go to a dancing event and she finally went. It was there that she met Barry. Watching them together sweet – they truly adored each other. I definitely took so much home from my forest trip. I drove back home to Los Angeles with my son and it was on the day of a rare solar eclipse. Even though we weren’t in the range to see a total eclipse, we put on special glasses to view a partial one. My son told me that it was very cool. He took a picture by putting the glasses over his cell phone. Our time together and this memory was something we would carry with us for the rest of our lives. And when I came home, I was ready to get right back where I left off – creating new musical arrangements and singing my heart out. 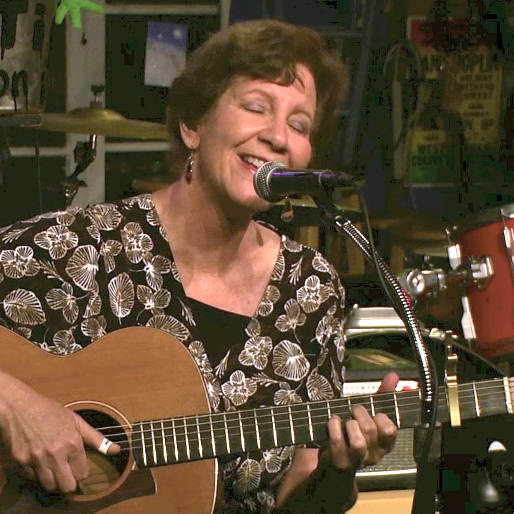 I share a recent performance of my song at Kulak’s Woodshed where I perform regularly. This song holds so many meanings for me. The most moving part of my song is the line about holding onto our dream forever. A long time ago, grief was a nightmare that destroyed my dream. But one day, I found my dream again. Even though I have tears when I imagine the dream of how I wished my son had lived, I am grateful for my love for him. He fuels my heart with joy when I create the music that I love. I am a passionate songwriter and picture myself as a “song gardener.” I continue to grow and develop my songs; they are blooming for me. My life is filled with inspiration. I freely share my music and love what comes back. Nothing feels better for me than knowing my music has helped other people. A grown man wrote to me and said my meditation music caused him to cry for the first time in 25 years, which helped him release long suppressed feelings of loss. I was extremely moved by his message. My guitar is central to every arrangement and I enjoy creating multiple guitar parts. Despite creating lush arrangements, I prefer my voice to be only with guitar tracks. I plan to share my new arrangements as meditation tracks on Insight Timer soon. My sessions with Doug usually last four hours and I’m very tired after. I look forward to coming home to edit my recordings. A month ago, I stopped first to get some gas and saw a message on my phone that grabbed my heart. For five years, I had written to a bereaved mother named Sammi who was very special to me. I felt tears well up in my eyes as I read her heartfelt message. I thought of Sammi whenever I sang any of my grief-related songs. Just that morning, I had recorded vocals for my song “My Shining Star.” The lyric line that stuck in my head was, “You whisper in my ear to heal.” I was certain that her son whispered those same words in her ear every night. Five years ago, it was the desolate and hopeless nature of Sammi’s writing that drew me toward her. I felt compelled to counter any hopeless statement she made with gentle disagreement. I wondered sometimes if I annoyed her with my unrelenting positive replies. But she knew I had been there. I once suffered from desolate grief and it was 18 years before I found true peace and joy again in my life. I cannot speak for anyone else’s grief – only my own. I am not afraid to express that I have experienced healing. I want to offer proof that healing is possible, especially since I never believed it when I was grieving. Sammi: The nights and early mornings are the worst. I am reminded every single day that my child is dead. The pain of awareness meets me every single morning when I awaken. I dread falling asleep, because I fear waking and facing the pain that I know is waiting. Every single day. Judy: Sammi, you have accurately described the horrible anguish I remember so well. It was like living within a nightmare. One day, my pain left. Occasionally it knocks on my door, but it has left my room. I pray it will be that way for you someday. Beliefs are powerful and every person chooses what they want to believe. Those words above that you posted might be true for some people. I’ve known people who died carrying heavy grief. But for me, I’ve chosen another path. It wasn’t one that I searched for – it just came to me after many years of suffering. I wouldn’t ever say that “time heals.” But for me, healing came and I am thankful for that. In the beginning, I used to feel lonely on this road. I couldn’t see the others that were traveling it with me. My pain was all-consuming. My heart and soul were ripped out of me and the wound was open and raw. I couldn’t breathe. It hurt to just be. I didn’t know what to do or how to deal with all the sensations that were bombarding me at once. 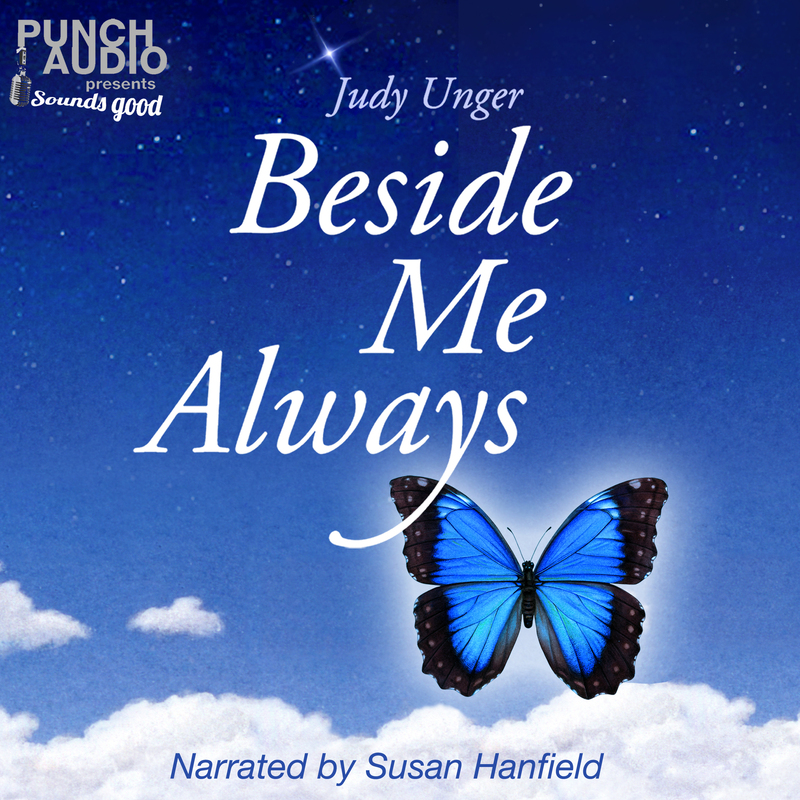 I was lucky to find a grief site that was small and it was there that I met my friend Judy Unger. I call her my friend because I truly feel like she is. No, we have never met. No, we have never spoken to each other. Yes, we connected in a way that would be hard for others to understand. She knew what I was going through, she knew my pain, she understood. She lost her beautiful son Jason when he was 5-years-old. She knew. Judy has been with me on the journey even though I hadn’t seen her on this road at times. Why she chose me I will never know but I know that I am truly thankful to have her at the extreme low points on this journey. I look ahead at the road before me. It is straight and unforgiving. There are no twists or turns. There is only one way to go. Forward. I cannot see an end point. This road fades into the distance. I look behind and I see, off in the distance, black sky, roiling grey clouds, thunder and lightning. The road has deep dark holes that used to cover the entire surface but have lessened to show more road than holes. I can maneuver this part of the road easier. It still has its pitfalls. It will still be wrought with pain. How could it not be? I can, however, walk a bit easier. I miss so much of what I used to have, but it is good to learn that light is out there. Judy was right. Judy: I am speechless, Sammi. I read this as I was coming home from a music session. I was exhausted and getting gas for my car. I saw your post with my name there and my eyes welled up with tears. What a beautiful tribute! I feel like I’ve learned so much about grief alongside of you. Even though I was farther ahead on my grief journey, taking your hand didn’t pull me back – it propelled me farther ahead. I am honored and quite teary knowing I’ve made a difference for you. You’ve certainly made a difference for me and perhaps one day we will actually meet and hear each other’s physical voices. Until then, our writing connects us and it is a very solid chain. Much love to you. Sammi: I’m not sure what I could have taught you Judy but if I did, and it helped then I’m glad. I haven’t connected with many who know this journey. I have kept to myself a lot. You are the one that was there from the start. I always knew I would get a response from you when needed. When I go back to the beginning of this journey and read my first posts, it is so painful – so much heartache. Going through until now I can see where I have made progress and where I have not. I never believed it was possible but…here I am and….so are you. Judy: I do hope that one day we will have a chance to meet. A long time ago, I thought it was hopeless that I could take an enjoyable vacation with my three children. It wasn’t perfect, but it was enjoyable most of the time! I laughed when I noticed one of my ear buds was hanging out of my fanny pack in many pictures. I actually didn’t really listen to music much on my trip. This picture was taken during the time in Seattle before our cruise. With my sons . . .
For some reason, I haven’t felt like writing much about my recent trip. Alaska was beautiful and I was able to spend a lot of time with all three of my children. I adore my kids, but to be honest – the dynamics of all three of them together are something else. I did my best to relax and enjoy my vacation, but I’ve come to the conclusion that my life at home is a vacation! I treasure my current peaceful life because it wasn’t always that way. Sometimes I look back with awe that I managed to raise children with challenges, oversee my elderly parents’ care, shop for a large household and pay the bills. I did all of this while working as a commercial artist, too. When I began my blog, it was fabulous therapy for me. Now that I am peaceful, I find myself unsure of what I want to write for my blog. I wait for inspiration to come and spend most of my time pursuing my passion for music. Even though I am peaceful, I’m still very much attached to the subject of grief and healing. Lately, it has been on the forefront of my mind because I will be sharing my story soon to a large audience on the meditation app named Insight Timer. I will upload my Insight Timer audio recording on this blog when it’s done. But today I have a story I want to share. Past memories and present moments intersect; when I feel moved I find myself writing again. I have a good friend – her name is Janis. Her son, David was a good friend of my son, Jason. I have pictures and stories related to their friendship. It has been many years now since Jason died and Janis told me that her son doesn’t remember him anymore. The important part is that my friend helped me through that difficult time and remained my friend. I hold onto that. Jason loved to sing. In this picture he is singing with his friend David, who is holding Jason’s guitar. I smiled and agreed. Although we didn’t do it every single month, it became a new routine to add into my peaceful life. And it was always nice to see Janis and catch up with her. Now it would be more often than our usual once or twice a year birthday lunches. At our most recent lunch/massage last week, we talked about how things were going for our children. I updated my friend on what was new with me. I was back from my Alaska cruise and excited about the new musical arrangements I was creating. But I had received a message a few days earlier. It wasn’t an ordinary message. It was extraordinary. It came from a woman named Sammi whom I had corresponded with for almost five years. When her adult son died, she was inconsolable. I felt compelled to respond to almost every message she wrote related to her grief. Sometimes, I wasn’t sure that what I wrote was helpful at all. But her recent message thanked me in ways that were too beautiful to describe. It was so inspirational that it deserves another story, which I will write soon. My post title is a line of lyrics from my song named “It’s Not Forever.” That song was inspired by my dialog with Sammi. I recently recorded a new vocal for my song. With a few tears, I read aloud Sammi’s message to Janis and she agreed that it was indeed special. At the end the message, Sammi mentioned that I was right about grief becoming easier after five years. I didn’t remember telling my friend, Sammi that her grief would ease in five years. A memory of mine that was buried deeply began to form. A long time ago, I was given hope that I’d feel better when another bereaved mother told me that it would take seven years. Perhaps I hadn’t had the courage to tell Sammi seven years, I said five years instead. I could not find any respite during my deep grief. It was horrible and indescribable. There are few words I can find to describe the suffering. It was like living in a fog, except it was not really living. During that time period, I remember I had a friend who wanted me to have a pedicure. She spoke very highly of her pedicurist. I never had one before in my life and she gave me a gift certificate to get one for my birthday. It was the last thing I wanted to do. In my desolate state I somehow followed through and made an appointment with her pedicurist to redeem my gift. The pedicurist’s name was Maddy. I told her my friend spoke very highly of her and that this was my first time having a pedicure. I think I cried during the entire process and Maddy spoke gently to me. She told me about her son that died from leukemia many years before. When she mentioned her surviving son, I shared with her my inability to comfort my own surviving son. He screamed nonstop and we watched videos of Jason to help us cope with our grief. Maddy’s surviving son’s name was Mitch and then a light bulb went off. Her last name rang a bell because I went to middle school with her son! I never knew he had a brother that died and it made me feel very sad for him. When my pedicure was done, I tearfully hugged and thanked her. She had given me so many words of wisdom to help me with my grief. I was still in a fog, but I felt lighter. I never saw Maddy again and it was twenty years before I had another pedicure. In my peaceful life, it is something I enjoy having on a regular basis. But I couldn’t forget Maddy’s words to me. Not long ago, I attended my 40th high school reunion. I even connected with people who didn’t attend the reunion. This was due to a lovely Facebook group/page dedicated to my high school graduating class. After the reunion, I decided to post something about myself on that Facebook page. Many of the people I met who hadn’t seen me in decades, remembered me as a maze artist. It was a big achievement for me to have published a book of mazes while in junior high. I enjoyed the lovely comments people made who remembered me. And then I saw his name. It was Maddy’s son, Mitch! I couldn’t believe Mitch still had one of the mazes I drew for him in Junior High! He mentioned how he turned his life around and I decided to ask him about his mother. With an open heart, I shared my feelings about his mom with him. There was no reason to sidestep mentioning my memories. I wanted to counter the part where he called himself a “stoner.” After experiencing the kind of loss he went through, it explained how he coped with his pain. I believe everyone has his or her own lonely path to follow with grief. I consider it to be a lifelong journey that led me somewhere else; never back to the place I was in before it happened. I used to mourn that, but now I accept it. After seven years, my agony did subside. But true healing and joy did not return for me until the rediscovery of music 18 years after my son’s death. Every day, I am thankful for the miracle of healing in my life. I have many songs about holding onto love. I felt that line was a triumph over the grief that ruled my life for decades. How could I be healed and still sing that my sadness would always be? But when I went to sing this change, it ended up not working out as well as I had hoped. I wasn’t satisfied with how it sounded vocally and decided to keep my older line. I concluded that my sadness isn’t something I have to dismiss. Remembering sadness doesn’t negate the fact that I am peaceful now and able to find joy in life. I embrace honesty. I will always carry sadness over his death and the fact that he never had a chance to grow up. A picture with my brother, Norm. I just returned from a cruise to Alaska with my three adult children. It all came about because my brother, Norman and his wife, Jo were celebrating their 25th wedding anniversary and invited me to join them and their children. It was hard for me to believe it had been 25 years since their wedding. And of course, Jason participated in it – he was so excited to be their ring bearer. He died five months after their wedding. On the last day of our trip, I was fairly exhausted and ready to go home. I wished I had actually spent more time with Norm and Jo, but the trip flew by and we were all busy with our children and the many activities we had planned. Thankfully, I did spend some time with Norm and Jo on an excursion in Skagway, Alaska. It was on our last day when I ran into them, as we were getting ready to leave the ship to go to the airport. I put down my suitcase and hugged my brother. I reached over to hug my sister-in-law, Jo and she handed me an envelope. I glanced at the envelope. It meant so much to me that she had remembered my little boy. I was overcome with emotion and began sobbing aloud. I couldn’t explain to them what my emotions were. I just had to cry. After I released it, I felt better. We took a family picture in Seattle where we spent two days before our cruise. Uh oh! My earbuds are hanging out of my fanny pack! It was a beautiful spring day and I looked forward to going out to breakfast with my dear friend Miriam. I never wanted to let too much time go by without seeing her. She had been my late mother’s caregiver and she had also taken care of my father. Even though it was almost five years since my mother died, she and I would always remain connected. Miriam knocked on my apartment door; we hugged tightly and began chatting away. I told her I was taking her to a new restaurant and treating her for her birthday. The woman’s name was Teddy and she wanted to explain what she noticed about me. “You have a light that shines from you. It is very powerful,” she said. We began to converse across our tables. It amazed me how easy it was to chat about personal things with a complete stranger. I even felt goose bumps on my arms when Teddy shared about her brother’s death. Miriam had a lot of experience with hospice and there were many deep things we talked about easily. It turned out that Teddy was a successful model from Tanzania, Africa. Perhaps this was enough for me to write a story. But what happened next seemed almost surreal. I was savoring my food in the fresh air and Miriam continued chatting with our new friend across our table. Suddenly, the restaurant door opened and a pretty blond woman with a young boy walked right over to me. “I’m very honored,” I told her. I couldn’t believe it! She said she was a hospice nurse. Miriam and I looked at each other. She talked about where she worked with Miriam and then she looked at me and said, “A very good friend of mine died last night. After that, I shared how much I loved the music that healed me. More than anything, I was uplifted if I could comfort other people with my gentle songs. We talked a few minutes longer about music. “I have a lot of music at my website that I’d love to share with you. Here’s my card,” I said. I handed her my card and she gasped – my card had a blue butterfly. I posed and Miriam took a few pictures. I hugged her and felt completely inspired. Miriam and I were bubbling as we left the restaurant. There just weren’t enough words to describe what had happened. I decided that the music from my heart was my light. On this beautiful day, it certainly shined brightly. Miriam had fun taking some selfies of us in her car afterwards.